The 8.8 9.0 earthquake that struck Japan today and the tsunami that followed caused many victims (estimated at over 1000 1500 at the time of this writing) and widespread destruction. Even if Japan is certainly the country with the best building codes and earthquake resistant architecture, powerful damages cannot be avoided when the country is hit by such a tremendous earthquake and especially by the huge 10-meter tsunami that followed. This was the largest earthquake to hit Japan in the recorded history and the seventh fifth largest earthquake in the world. 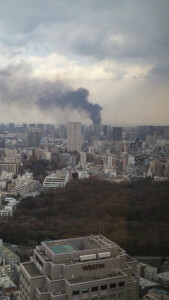 My thoughts are with my many good friends from Japan, some of them living right in the most affected areas. I hope all of them are safe.